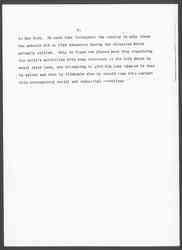 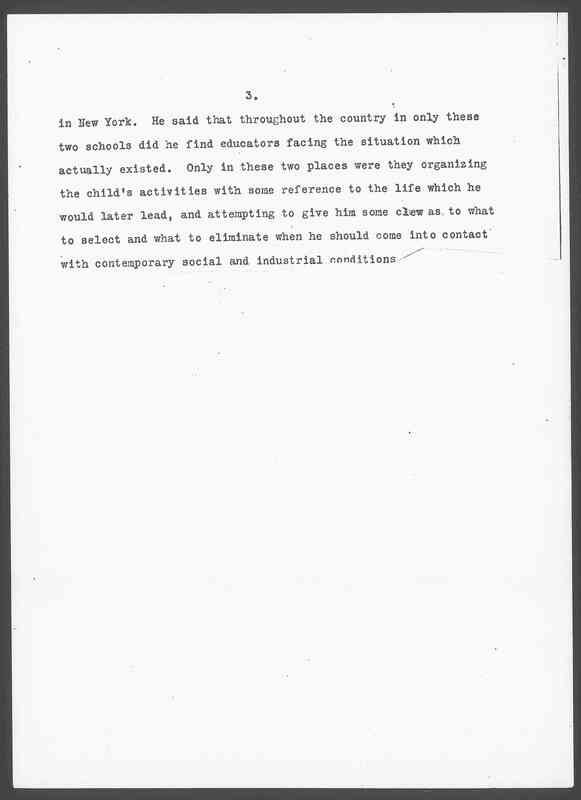 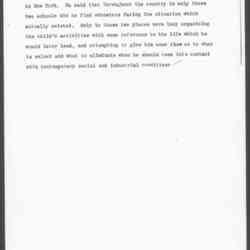 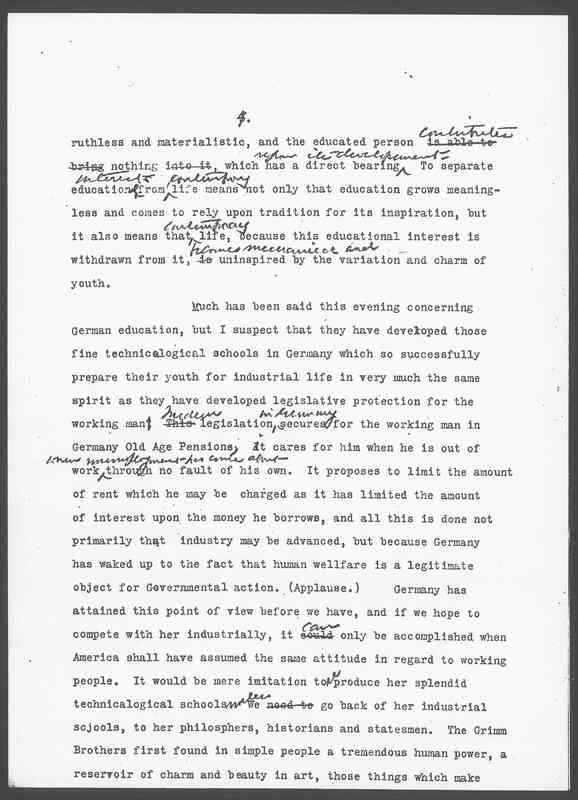 Addams gave this speech at a public meeting held by the Society for the Promotion of Industrial Education, at Cooper Union, along with Henry Pritchett, Frank Vanderlip, Frederick Fish, Nicholas Murray Butler, Frank P. Sargent, and others. 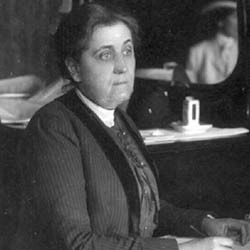 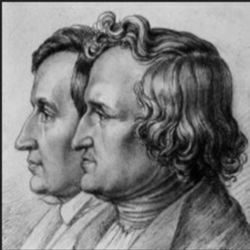 Addams' appeal, unlike the other speakers, identified with the plight of working people and argued that industrial education would better their lives. 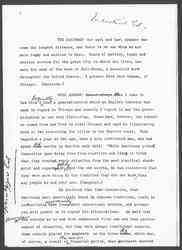 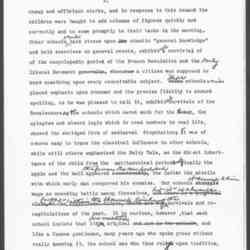 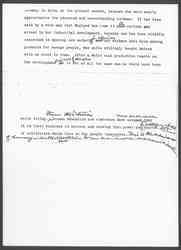 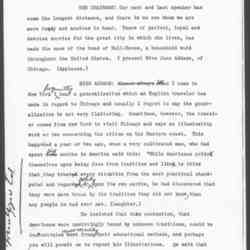 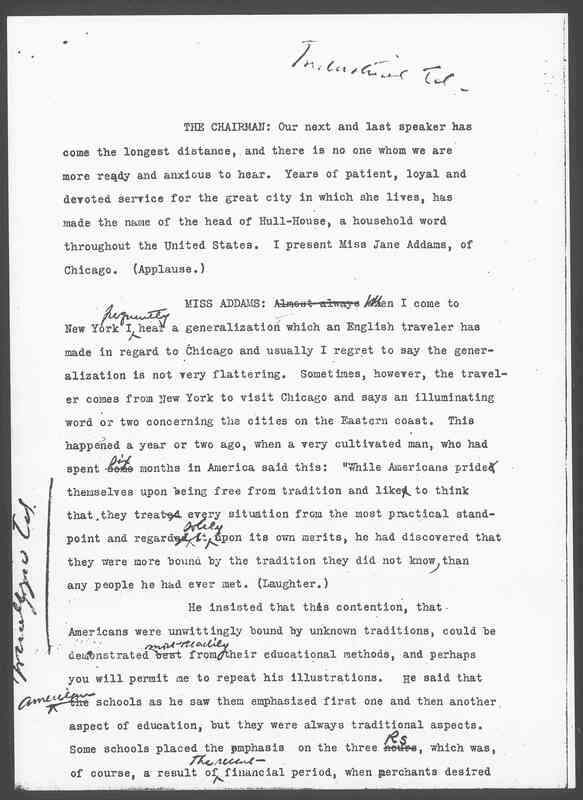 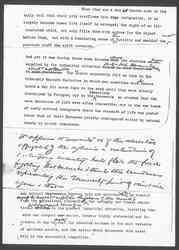 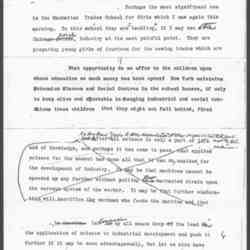 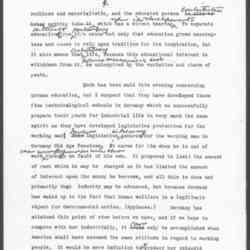 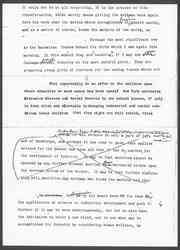 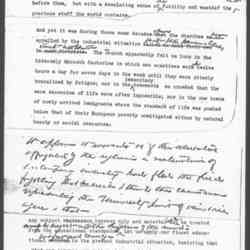 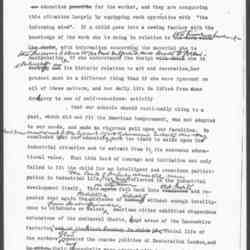 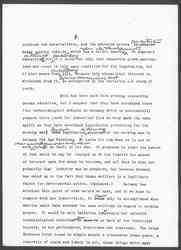 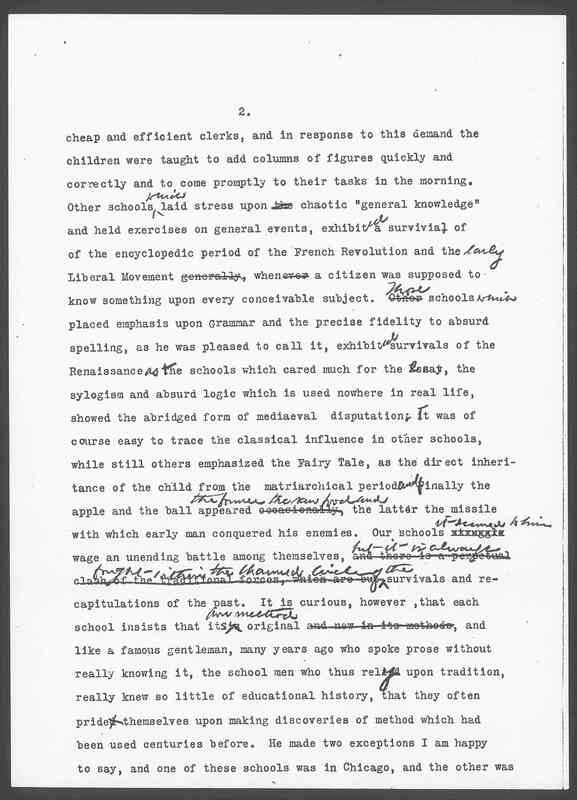 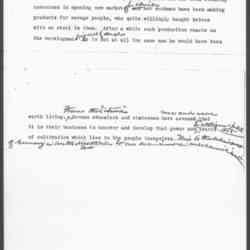 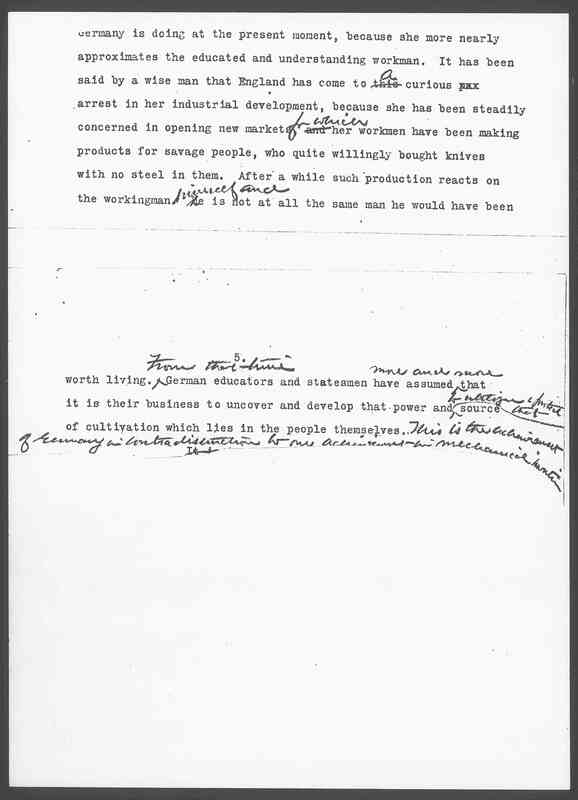 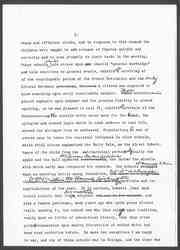 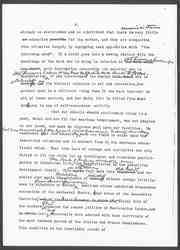 Jane Addams pieced together the speech from more than one draft, and the transcription mirrors her arrangement, with gaps, of the individual cut-up pieces of paper she assembled on each page. 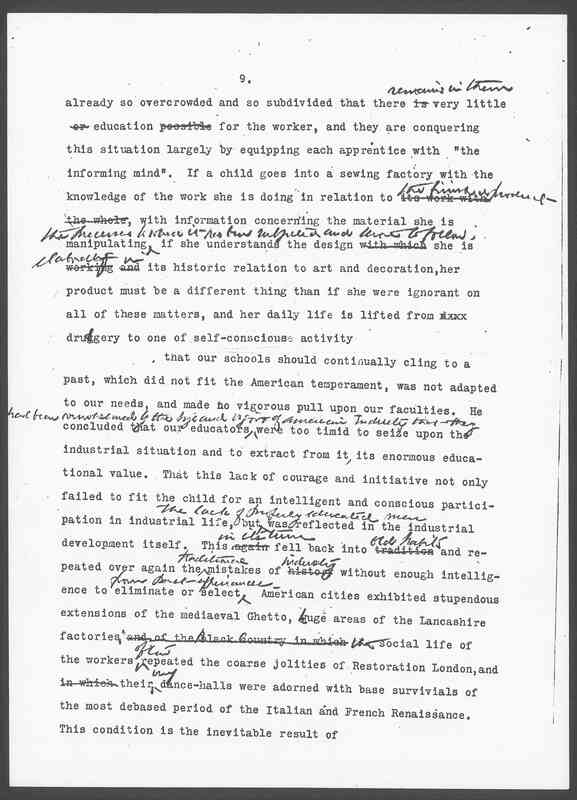 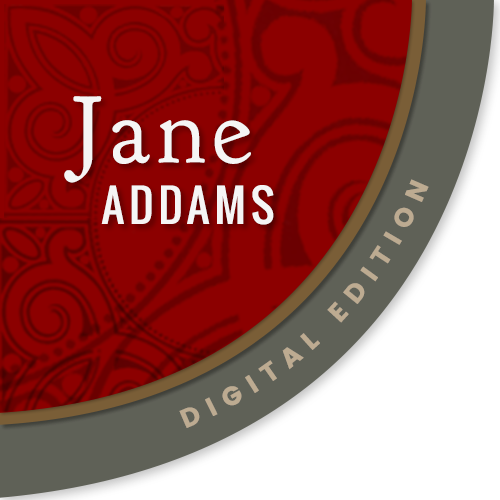 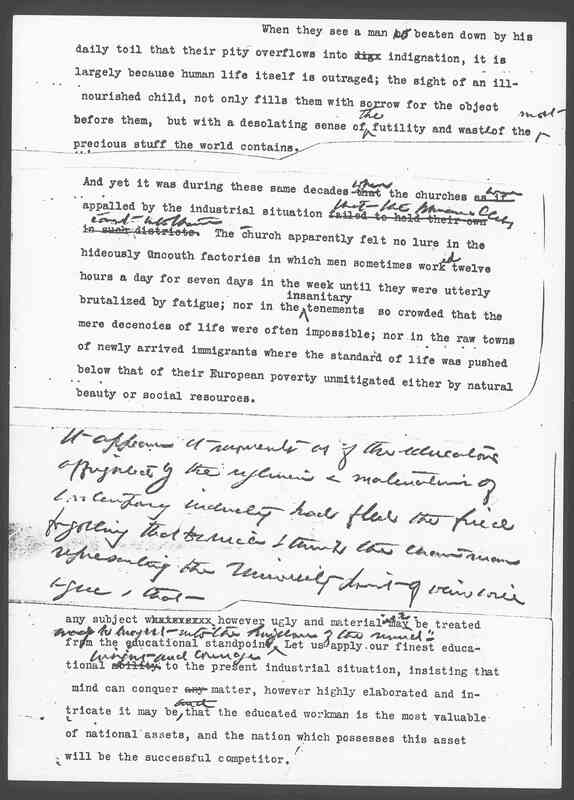 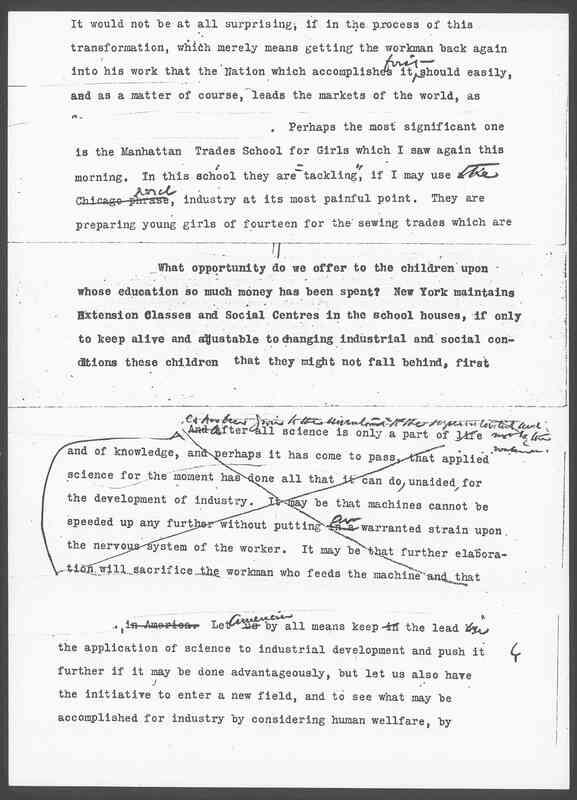 Addams, Jane, “The Importance of Industrial Education from the Social Standpoint, November 16, 1906 (fragment),” Jane Addams Digital Edition, accessed April 22, 2019, https://digital.janeaddams.ramapo.edu/items/show/5884.